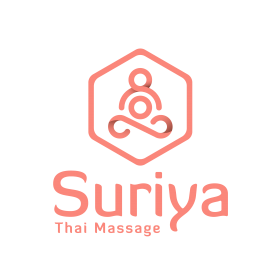 Suriya Thai Massage > Blog > What is Thai Massage? Nuad Boran (in Thai language) is a traditional healing therapy for physical, emotional and spiritual alignment. In its origins, it was practiced by Buddhist monks to treat some ailments and it was influenced by Chinese Medicine and Ayurveda. Later, the knowledge was transferred to the community and today it is recognized by the Thai Government as part of Thai Traditional Medicine. According to traditional Thai knowledge, there are energy lines that transport the Life Force (Prana in Sanskrit or Lom Pran in Thai) through the body. The ten most important lines are called Sen Sib. If these paths of energy are blocked, the flow of energy will be altered affecting organs, bones, tissues, fluids, mind and emotions. The technique to release energy blockages consists of applying deep, slow and rhythmic pressure using hands, elbows, fingers, arms and feet according to the needs of the receiver. The practitioner also facilitates stretching positions for the receiver, coordinated with his breathing and respecting his tolerance and flexibility. The session is performed on a mattress on the floor. The receiver remains clothed so you should dress comfortable clothing to allow free movement. The therapist should be concentrated, relaxed, and take care of his posture in each technique. He observes both his own breathing and that of the receiver, and observes signs of discomfort or pain. When he applies stretching, he must feel how flexible the receiver is to respect his tolerance. Each technique has contraindications and precautions that must be known and respected to perform a safe Thai massage session. Helps detoxify: It is recommended to drink enough water to support this effect. Deep relaxation: physical, mental and emotional. Reduces joint stiffness, and improves muscle strength and mobility. Prevents stress, constipation, menstrual cramps, headaches (caused by stress). It is recommended to take several sessions to feel a deep long-term benefit. You can start by taking a session to see if this is the type of massage you are looking for.